Our Sales team have over 250 years of combined experience in the bakery industry. We pride ourselves on being able to advise impartially on equipment and machinery and consider the product, your company's growth and your budget when suggesting machinery solutions. All our sales staff have practical experience in the field and understand the machines, their benefits and limitations, as well as your product. We welcome customers to visit us and discuss their plans, see our stock and evaluate their options with us. We are pleased to be able to offer the flexibility of both New and Refurbished machinery and we take pride in seeing our customer’s businesses grow over time and offer packages that will enable equipment changes as and when production needs increase. 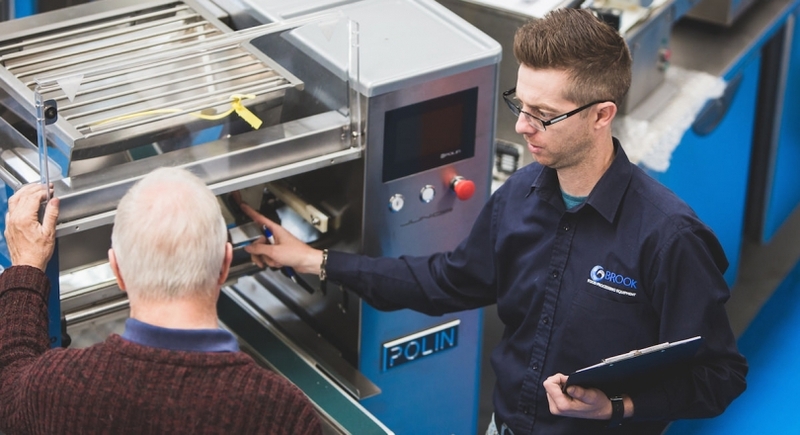 If we are unsure of a machine's capabilities in relation to your product or idea, we'll happily test the equipment in our test bakery to ensure you have the right machine for the job. What's important to us is that you achieve the results you're looking for within your budget and to suit your business need. We have helped thousands of new start businesses over the years, from all over the world, and we are always delighted to hear of their successes and achievements and to help with 'a bigger oven' as the business is growing and it's time to upgrade. We offer a flexible part exchange service and want to be able to grow our relationship with you as your business develops. Our price promise means you will always get the best deal from us. We will match any Like-for-Like price on the same item from any other UK supplier where the warranty, delivery and payment terms are identical. We aim to provide our customers with practical and manageable payment options and can offer finance packages to suit your budget and circumstances allowing payments to be spread across 3 to 5 years.